Since 2008 the Circus School of Capon Valley is developing the Luca Project: Special Circus for People with Special Needs, permanent class training in circus arts for the care of young people with disabilities, residents of Capon Valley. Before the existence of this project these young people were isolated in their homes. Paolo, director of the circus, art educator and founder of the project, goes pick them up, one by one, by his car. The home path to the circus already plays an interaction role with people who know and recognize these young people as members of that community. The activities are varied: stretching, exercise circus techniques (balance ball, juggling, fabric, wire, trapeze, and acrobatics), games, dance, music, massage, walking, riding and other interactions that arise spontaneously during the classes. 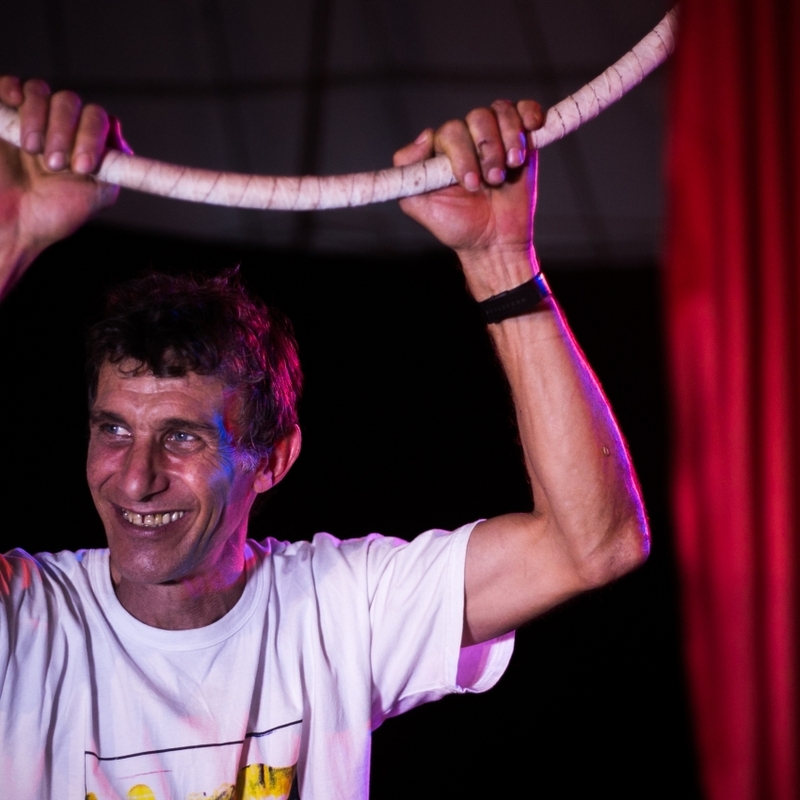 The Capon Circus is an association that promotes training activities in circus arts with the community of the Valley and the region around.